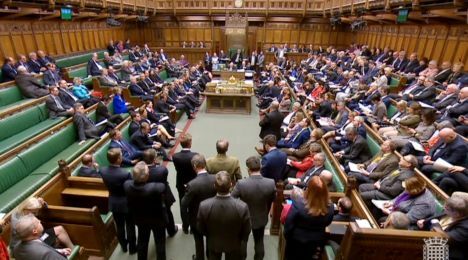 The British Parliament has voted down four more proposals showing inability to make up its mind and find a compromise on the country’s future relationship with the European Union after leaving the bloc. British public broadcaster BBC reports that on Monday, April 1, the House of Commons voted on four alternatives to Prime Minister Theresa May’s withdrawal deal, but none gained a majority. On Tuesday, April 2, May will now hold a crucial cabinet meeting to decide what to do and whether to put her deal to MPs again – for a forth time. The United Kingdom has until April 12 to either seek a longer extension from the EU or decide to leave without a deal. The so-called indicative votes on Monday were not legally binding, so the government would not have been forced to adopt the proposals, but they had been described as the moment when Parliament might finally compromise.